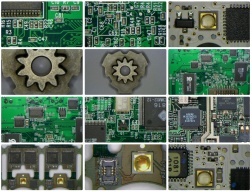 There are a number of processes and steps involved in the printed circuit board manufacturing process. Out of these several steps, the inspection stage is very important and crucial. Inspections may be performed manually or by using automated inspection methods. Our range consists of well known brands in the inspection area. Feel free to contact our sales staff for further information or a demo. Choosing our patented products provides you with unparalleled clarity and precision. 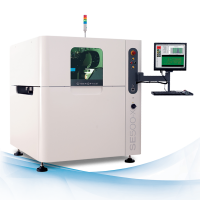 CyberOptics sensors are being used in general purpose metrology and 3D scanning, surface mount technology (SMT) and semiconductor markets to significantly improve yields and productivity. Inspectis HD/UHD Digital Inspection Systems, designed and manufactured in Sweden. Elegant solutions for modern optical inspection tasks that are ready to use from the moment you plug them in. A variety of different setups and accessories designed according to industry standards.